With over 25 years of experience in the construction field, Bob Newman offers quality work in both residential and commercial applications. He worked as a superintendent for a major home builder for two years, but he worked as an installer and foreman in the glazing industry for most of his career.Because Bob has been on both sides of contractor jobs, as the supplier and customer, he understands all facets of the business. Integrity, professionalism, punctuality, and dedication are important to him and his customers. Partnered with his wife, Monica, this family-owned business focuses on excellence of both product and service. 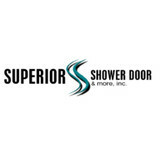 Robert Lane Construction has been serving the greater Bay area for over 7 years specializing in shower door installation. When it comes to Sacramento Glass and screens, accept only the best. Pennington & Sons puts a premium on providing consistent quality and true customer service. We offer a wide range of professional residential and commercial glass and screen services for our valued clients. Our extensive experience, consistent quality, unmatched customer service and local focus make us a leader for Sacramento window repair. We have built our reputation by treating our customers like family. That’s our difference. Pennington & Sons will always work toward providing sound and innovative solutions for the glass and screen needs of Sacramento and the surrounding communities. We push for prompt, consistent and professional installations using quality products. Close communication and attention to detail are foremost at Pennington & Sons. For years this has been our goal, and it remains unchanged today. For a no obligation FREE Folsom screen repair estimate, give us a call today! 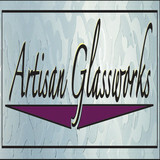 Clear Images Glass Co. is a glass speciality company specializing in supplying and installing glass, doors, etc. in the North Highlands, CA area. Since 1997, Pro Glass & Mirror, Inc. has developed a reputation as the leading provider of residential and commercial glazing. We offer a wide range of glass products including custom windows, specialized glass and glass railings. Our company also specializes in architectural glass for your special projects. Our success is based on our unsurpassed knowledge, experience and commitment to customer service. That is why we provide high-quality products and expert craftsmanship. Only our products and installations combine functionality with beauty, and style with durability, making them ideal for your unique projects. Proudly serving Yolo County, DAVIS GLASS & SCREEN is a state certified contractor specializing in glass and screen replacement and repair. We offer only top quality products, installed by professionally trained technicians. We specialize in residential windows, sliding patio doors, beveled glass/mirrors, specialty cabinet door glass, tabletop glass, custom mirrors, solar screen, screen repair and replacement, and shower/tub doors and enclosures. 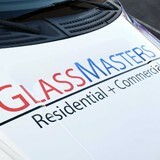 What can a local Rocklin glass company help me with? If it’s a major home glass repair or replacement, the Rocklin glass company should work directly with your insurance company to help bring down costs for you, if applicable. 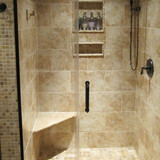 Find Rocklin glass companies on Houzz. Narrow your search in the Professionals section of the website to local glass, mirror and shower door services in Rocklin, CA and read reviews and ratings to find one that fits your needs.